After working for Mrs Noran early in the morning and inspector Nilan later on, Alisa would no work for yet another different customer. Flipping through the requests she pried off the board for the day, she took a closer look at one she'd skimmed earlier on in the day, apparently from an old lady. Sure, one might be hard pressed to infer the age of a client just from the request, had not the sheet of paper clearly described how they needed help getting settled into their new place. Orchidia does seem like quite a good place to spend your retirement, huh...? Calm, idyllic city, not too far south from Alisa's birthplace. Perhaps she too would consider coming here once she eventually retired, though for a woman this vain and independent, thinking of herself as an elderly woman was quite the frightening thought indeed, perhaps far more so than she'd admit. She'd hope to at least manage to retain a good portion of her current strength through constant, consistent training regimens all throughout her life. "...So our next client is this way...", she'd tell Baron, looking away from the sheet of paper into his eyes. Her mission partner for the day, though judging by the look on his face, he probably wasn't looking forward to do it again, after seeing firsthand how the woman worked. Doing a stint of jobs on the same day, working up a nice, steady pace, was merely the simplest way to get work done fast and well... 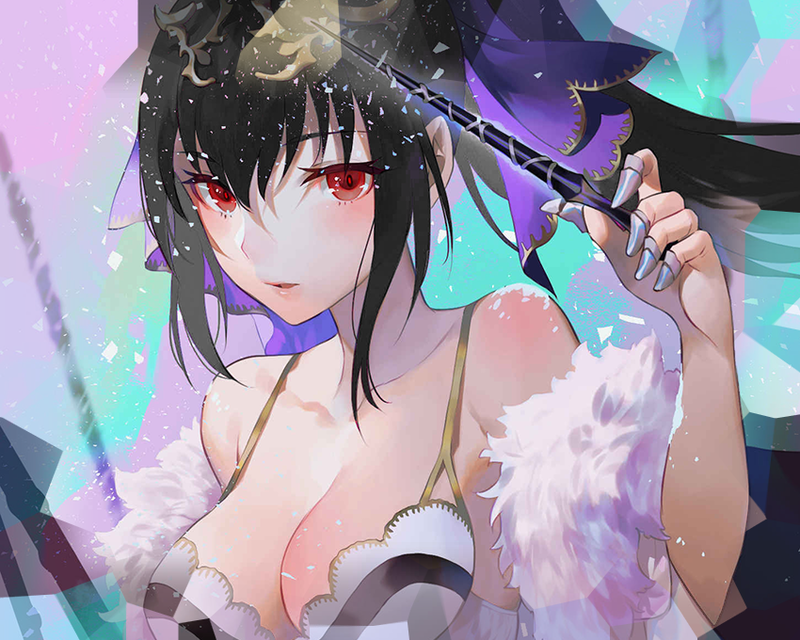 When you have the stamina for it, "...Assuming you can still handle it that is~"
"With some luck, this job may yet net you scruptious mid afternoon snack~...", she noted, eyeing him curiously, only flashing that cool, faint smile towards the door as she heard it open. He licked his lips and shook his head, he did this to get all of the cob webs out that had been forming since they had began to walk about the place. He looked to the girl with a wide smile again as they proceeded before he would try to take the lead and get back to their friend who was dealing them their current amount of missions. once again he’s shake out the cob webs and waited for the girl to proceed on with their mission, she knew them better than he did therefore he wanted to let her move introductions. "Well, at this rate it might not be me who feeds you~", she added, just as Granny Betty opened the door, just as Alisa added, hopefully without admitting her own ineptitude at the art of making tasty edibles, "All the better for you, since I don't cook~"
"First, furniture. If we have no space to move around, we'll never get any cleaning done...", noted the sculptress, assessing the daunting task before her with a clear head, crossing her arms as she looked left and right, one hand reaching up to cup her chin, before looking at her impromptu teammate with her conclusion, "Let's start by moving all of this to the next room, even if we have to clean this one in sections, with some extra space we should breeze right through it." Neatly arranging most of the excess furniture in one of the few emptier rooms, Alisa swept the floors and dusted whatever surfaces she could get at. And thus when the time came to move all that furniture back in, everything turned quite a good bit easier, letting her mop away whatever dust clinging to it, one at a time. Baron had become a bit confused by what she meant by someone else would be cooking for him. If she wasn’t the one cooking for him who would? He wouldn’t have minded if she did but given that he so rarely gotten to eat with her it would have been nice to have a bit of warning about the stranger that would be handling his food. Hi stomach growled lowly as he thought about whatever could have been prepared for him or whatever would have been poisoned for him! Would Alisa try to poison him? He was unsure, it wasn’t likely as she had been his friend for so long now. Rubbing the backs of his hands against his pants he nodded as the door opened and an old woman greeted them, the first thing he did was offer a nod to the woman and his name as they entered her home. He wiped his shoes on the nearest mat and followed Alisa inside, the clicks of his sneakers following the duo closely. The mention of the work coming up and he would shrug his shoulders, picking something up and carrying it out of the room to the other, repeating this a few times on and off until he would have to perform other tasks. Eventually his back would get a little strained, but it was more due to him not lifting in a while than anything. The last time he lifted something it was an elf inside of a gym if he recalled correctly. The memory was a welcomed return and he wore a large smile as he walked from room one to room two picking up and putting things down. Oh how he wished he could return to those simpler times. Bumping into a wall he juggled a vase for a moment before putting it back in place an continuing on with their work. “You know Alisa,” he huffed, picking up another item, “Whenever I get one of those wedding things I’m gonna invite you.” He carried the item now, “And we’re gonna eat one of those huge cakes buddy.” his tongue protruded from his mouth now as he moved on about taking a short break to rub his wrist, linking thumb and index fingers to give himself a mini massage now. It wasn’t all that bad, but it wasn’t going to be all that good if he didn’t take breaks every now and again. For a small old woman she had alot of items. He sighed to himself and got yet another item as he waited for Alisa’s answer. “You think I’ll meet a nice girl? I don’t think I’ve slurped any noodles since I met this little blonde elf, man she was crazy strong and when i did it with her like I did it with your friend my magic was going crazy. I wouldn’t be surprised if I left all of it with her after those ruts.” now it was just straight up locker room talk and the smile he wore sold it all the better. “You got any stories to share?” he asked another question like the one he asked not long ago, “Maybe someone looking for you? Heck what happened to that armor you had last time I saw you? Your noodles were so out that it seemed like you wanted them to be seen ha ha.” he rememebred the armor just a bit, it was tight on her, and her mid section as well as all but he arms and legs were on full display for the world to see and he liked it. Alot. "Ufufufu~... I hadn't pegged you for the marriage type either, don't tell me you're thinking it's a kind of food too...? ", teased the sculptress, winking at her gluttunous friend, who promptly shared his expectations of a big cake enough to feed everyone. As she finished carrying that shelf around, Alisa did indeed note how this meant he defenitely knew what marriage was... Even if she had mostly been joking about that... Mostly. That said, she couldn't help but raise an eyebrow at the mention of blond elf one, reminding him of Liana, enough for the sculptress to chuckle, look away with a reminiscing hint in her eyes, "Blonde elf huh~...? Reminds me of a student of mine... If it were her, i'd defenitely advise you to be careful who you tell that to, she might not take it kindly~"
"Here's a piece of advice... A gentleman doesn't talk about his conquests~", though the moment he inquired her for stories, Alisa couldn't help but gaze off into the distance, as if thinking of one in specific she'd be comfortable sharing. But he picked the most obvious one, that overly revealing armor whose very mention made her flip her hair, caring very little about showing that much skin if it meant the colossal power it brought her, "Ah, Junketsu... Most powerful piece of armor I've ever worn, and also the least likely to ever be called armor~...", chuckled the sculptress, hand over her mouth as she looked at him, "It was actually a living mass of threads that fused with your skin when you wore it... Your skin became the armor so to speak." "Ooooh, I'm impressed...! You've done a wonderful job my dears. Here, have some of my homemade cookies. ", astounded by the work they'd done, the old lady went into the kitchen and came back holding a nice, full tray of cookies. After all that work, even Alisa could feel her mouth watering at the sight, and took a small handful of cookies, plopping one into her mouth. That taste quickly invigorated her, and she found her eyes widening as she felt a sudden rush welling up inside her, a meager but noticeable boost in magic power, "...If you'd like, I have yet more job two healthy young mages could take care of." Baron would eventually finish up and then be treated with a very interesting answer, apparently he could have been into it with just another person Alisa knew, how interesting that was. Had it been so that means two of her friends, or rather a friend a pupil had crossed his path and ended up giving him the same effect; his power spiked dramatically. 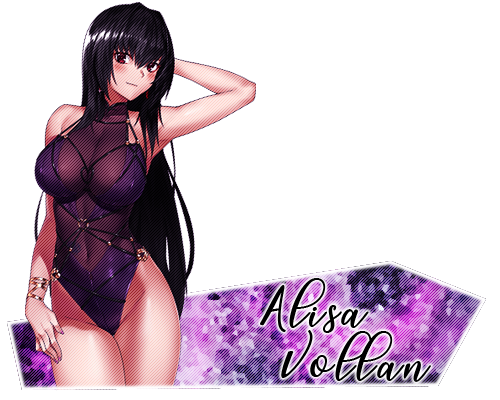 Perhaps there was a secret Alisa was holding out from him, for all he knew she could have belonged to a coven of women who use their... Assets to increase the power of men. Heck, after some of the things he’s done he could use another boost. “Oh uh, do you have any more friends I could maybe meet then?” the smile on his face was innocent enough, he listened about her armor and gasped at its uses, it must have been wonderful to have. He could certainly use something like that nowadays. For now though when the cookies were presented he couldn’t help himself taking two handfuls and leaving alisa whatever he didn’t grab as he stuffed his face and mouthed a crum covered ‘thank you’ to the old woman before exiting her home. He’d swallow as they left and continued to stuff his face.